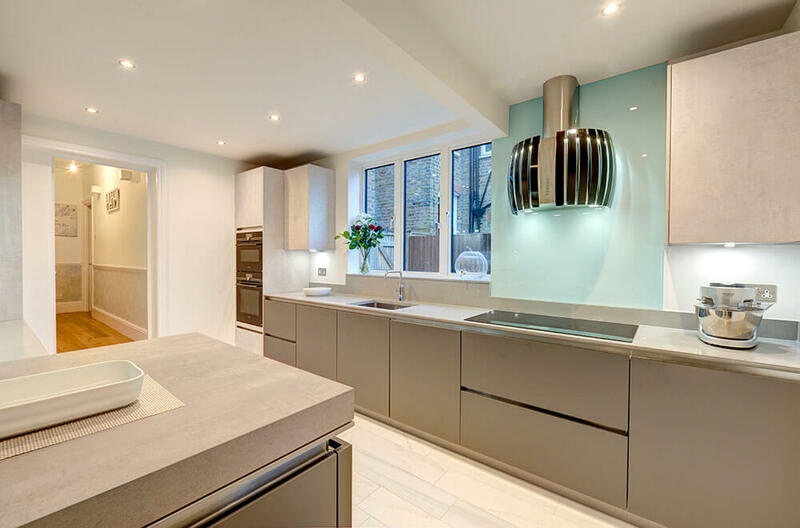 This brief incorporates all the latest kitchen appliances while ensuring optimum use of space. 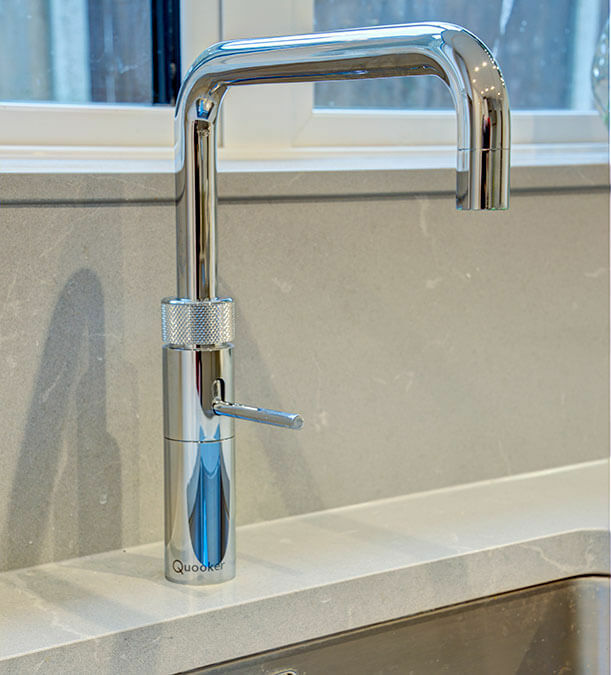 The soft aqua backsplash creates a subtle wash of colour to complement the soft greys of the units and worktop. 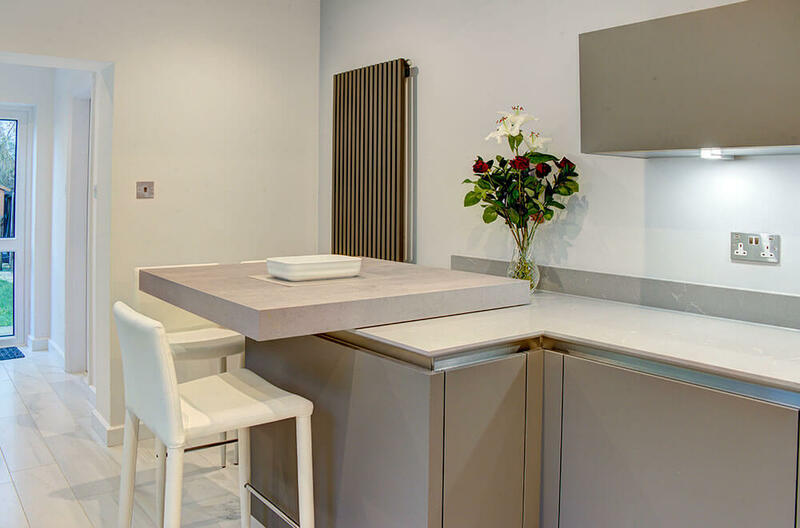 The ‘ribbing’ of the extractor cleverly mirrors the feature radiator on the opposite wall. As space was at a premium, an ingenious slide-out breakfast bar was added. Sliding out diagonally, the bar avoids obstructing the walkway and provides seating for two; when closed, it simply functions as part of the worktop.